It used to be that when you went overseas, the only way to keep in touch with folks back home was to send a postcard or make an expensive international call on a hotel phone. Thankfully those days are now long behind us – now we can send an expensive email! 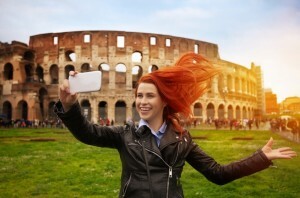 Global roaming is convenient, but it can also be costly. So here are some ways you can avoid a nasty bill when you get back home. The first step you should take is to disable data roaming on your phone, and only turn it on if necessary (you do that via the settings in your phone – if in doubt, phone your telco and ask them how to do it before you jump on the plane). By limiting the time you spend online, you’ll limit the bill. Another useful tip is to hunt around for free Wi-Fi. Depending on where you’re travelling, Wi-Fi can be quite prevalent and often free – every email you send over free Wi-Fi is one less you send over roaming data. 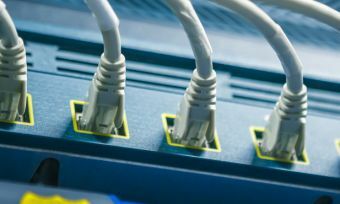 You can also pre-purchase a travel data bundle or plan from many New Zealand telcos. These can vary wildly in price, but are often a cheaper option than normal data roaming. Some plans even let you use your normal data package for a relatively small fee. Contact you provider to learn about the specific plans they offer. One of the cheapest options can be to buy a prepaid sim for the country you’re travelling to. You can either buy one ahead of time from specialty companies, or pick one up when you land. This can be a very cost effective option, and the amount you spend is capped, so you can’t be charged excess fees. However, be careful if you’re travelling to multiple countries as a sim you buy in one might not work in another, even if they’re neighbours. Finally, don’t be afraid to challenge a large bill. You’re unlikely to avoid paying the whole bill, but might be able to get a reduction. Ask for specific details on the charges you’ve incurred – if they can’t back them up then why should you pay them?